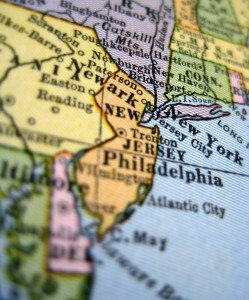 Like many across the country, New Jersey’s health system is challenged. In 2011 Bob Hughes—now President of the Missouri Foundation for Health—and I wrote a report that highlighted how poor planning and anemic leadership, as well as parochial concerns severely hindered cooperation and coordination to improve health and health care in our state. Even some of the most powerful players in New Jersey’s health system were not immune from the effects of this difficult environment. Despite their common interests, the Medical Society of New Jersey, the New Jersey Association of Health Plans, and the New Jersey Hospital Association had not really talked about how they could work together to overcome serious hurdles related to costs, care and quality for many years. There were no shared programs, planning activities, education projects, or policy initiatives—and no relationships were solidified. These key influencers of the health care system were separate, siloed, and skeptical that anything other than the status quo could exist. After early discussions with the Hospital Association, Rippel launched an effort to bring together payers, providers, and hospitals to see if they might find common ground and work together to improve health in New Jersey and particularly address ways to lower costs and reduce the volume of unnecessary procedures and services. Facilitated by the Foundation, a well-planned, deliberate, and responsive engagement process was created to help reintroduce the leadership—staff and boards—of the three groups to one another. Through this process, we worked with the groups to build trust and relationships and explore what they might do together. Together the three groups have started to develop a New Jersey health leadership program, and proposed launching a new statewide effort to improve end of life care as their initial project, a problem that costs New Jersey a hefty amount of funding each year—more than most states in the country, according to the Dartmouth Atlas. The efforts of 25 stakeholders working together over a two-year period yielded this new cross-sector leadership program designed to advance capacity to improve health and care in the state. The program will bring current and emerging leaders together to build relationships, gain knowledge and skills, and adopt attitudes that will be required to transform health and care in New Jersey. Starting with a focus on the state’s costly end of life care, the three associations are now working with an academic partner and anticipate launching the leadership program in 2015. We are excited to see New Jersey leaders taking this important step and know that many lie ahead. Developing leadership across the state in this way and encouraging all players to work together toward common goals will have a tremendous impact on moving New Jersey forward in a way that creates a health system that will benefit all residents.